This contentious claim by Anne Rice in her book, Interview with the Vampire returns to haunt me as I hear out Thanos rationalising wiping out half the universe's population to restore balance. His voice (Josh Brolin's sublime baritone) is like ice -- smooth with a distinct chill to it. There's a surprising serenity to his malice, something oddly convincing about his despotic ideas of census control. As it may be, his nihilism plays on our embitterment at the general state of humanity as things stand and worsen in an increasingly unfeeling way. Whatever ethical angle this conversation may carry, such nuance is rare and remarkable when coming out of a brawny purple alien. Thanos is an embodiment of mindboggling power and profound darkness, consciously blurring the lines between method and madness, prophet and survivor, suffering and salvation. In the tradition of memorable comic book villains, his violent soul is burdened by a melancholy that fuels his power but gashes his soul. Avengers: Infinity War may peddle itself as a superhero smorgasbord but their solitary meditative foe is my biggest takeaway. And what a nemesis the ribbed chin Mad Titan turns out to be. Even where Thanos is not directly involved, the repercussions of his onslaught are explored and challenged in how we've come to perceive the invincibility of the countless costumed preservers of justice and their sophisticated weaponry. Director duo -- Joe and Anthony Russo -- boldly examine the purpose of power at its peak as well as bottom -- while relentlessly testing the mettle of their champions engaged in a war they may not win. Talking about Infinity War is like playing a minesweeper of potential spoilers. Folks tend to get touchy about these tent pole beasts. Without taking the name of a single superhero (even attendance amounts to spoiler) all I'll reveal is that Thanos needs all six infinity stones in his gold gauntlet to achieve population chop-chop. And it'll take every single MCU star to stop him, a imagery so forceful and urgent, you feel its punch most literally. All the 18 movies from the Marvel Cinematic Universe culminating into this elaborately assembled first installment of a finale exhibited varying degrees of excitement, relevance, culture, morality, dynamics and flippancy. But it was as clear as day that they are all working towards a common ideal -- averting the apocalypse. As intriguing its allegorical pontifications are, Infinity War is ultimately and unapologetically a multi-billion dollar franchise with some obligations to fulfill. Fitting in its army of superheroes in less than three hours at a scale that is fancy yet footloose, fan-friendly yet fearless, ranks high on priority. Writers Christopher Markus and Stephen McFeely toss in untried character combinations, score humour in their insecurities before sending off the viewer on a grandiose, breakneck journey across planets, battles, creatures, sacrifices, heartbreaks, endeavours and ideologies. Infinity War is mindful of its inherently bloated set-up where some characters receive more screen time than others while some may not appear at all. 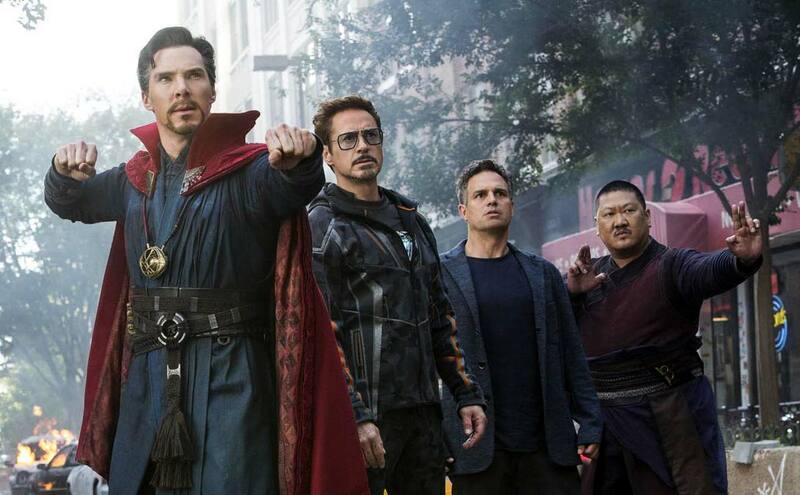 But by giving us abundant superhero interplay to flip over, a sprinkling of groovy surprises and unforeseen shockers and some seriously cool action set pieces, the Russo brothers minimise the drawback significantly. Sass, smarts, spectacle, MCU has the formula pat down. Infinity War goes one step further and tries something bold. Maybe it is all a deception but this detour from blustering finishes towards an incomplete, unpredictable and unsafe course of events makes this one epic and the next one badly awaited.